You are looking at the ceiling of the inside of the ambulance as a mysterious sharp pain pulses in your abdomen. Last you remember, you were playing with your kids at your seven-year-old daughter’s birthday party. Your ex-husband had actually decided to come this year and even brought the chocolate cake, your daughter’s favorite. You close your eyes, bracing for the next wave of pain. The ambulance rumbles into the hospital parking lot. The medics throw open the back doors of the ambulance and roll the gurney onto the ground and through the hospital’s automatic doors. As you can recall later, you are asked questions regarding your place of birth and the name of the current president. It is all a blur. You wake up in a hospital bed in a deep foggy haze. The doctor tells you that you will have to take it easy, which is easier said than done. You work on your feet all day as a teacher’s aide and have three kids under the age of 10. There are no days off. You end up having to take two unpaid weeks off from work to recover from your hospital stay. To keep it all together, you use your credit card to make your car payment and that month’s rent. Then the hospital bills start rolling in. There is one for the ambulance ride, another for the emergency room, yet another for the blood testing, one for the medical imaging, two for different specialists and a separate bill for the hospital stay. You are overwhelmed. The total for the stay is more than you can afford to pay. The medical provider suggests that you apply for a loan, but you’re nervous that your credit will prevent you from obtaining any additional loans. You are not alone. More people are insured than ever before. However, many are still struggling to pay their medical bills. The Consumer Financial Protection Bureau, who oversees consumer financial trends and behavior, released data in 2014 estimating that 43 million people have medical debt that is damaging their credit. When navigating medical debt, you need to know that you have options and rights. Many healthcare providers want to work with you to ensure that you can repay the amounts owed. In some instances you can apply for financial assistance. You may be surprised that you qualify and end up paying nothing on the medical bills. Medical debt and the subsequent collection practices can be confusing. As such, stay organized. You should keep notes of who you spoke with, the date you spoke to them, and the subject matter discussed. Know that you can request proof of the debt in writing. The collector has to prove that the debt is valid. Starting September 15, 2017, the three major reporting agencies, Experian, Equifax and TransUnion, will set a 180-day waiting period before medical debt can be reported on your credit report. 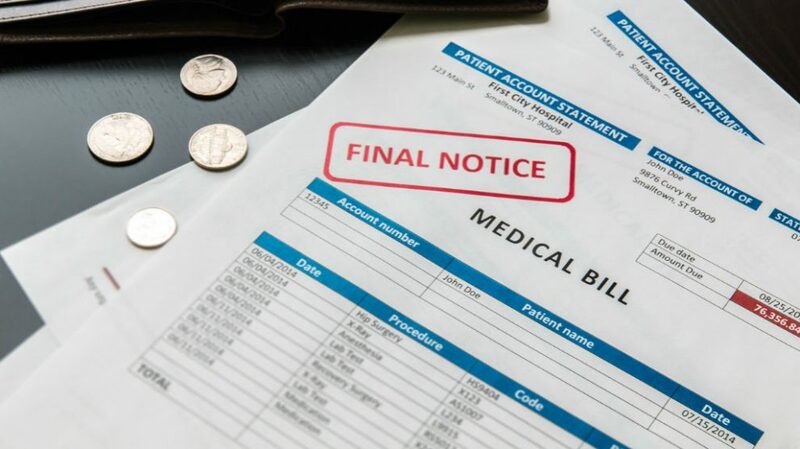 Once the medical debt is paid, you should request that the medical debt be removed from your credit report. Your life can change in big ways in a flash. When that happens, you should know that you can get back on your feet and achieve financial wellness.